Not far from the sea, the Hospitalet estate seems lost in the middle of nowhere, surrounded by about fifty hectares of vines and eight hundred hectares of garrigue. The owner, Gérard Bertrand, former rugby international, has headed this luxury oasis overlooking the Mediterranean since 2002. Apart from being able to taste the estate’s wines, everything is designed to attract the visitor, who cannot fail to fall in love with this beautiful place. As well as the three-star hotel’s thirty eight rooms, which are stylish and have their own personality, there are many other services on offer: a lounge bar, a gastronomic restaurant (the H, an experience not to be missed), a huge swimming pool, a museum dedicated to vines and another to honey, a delicatessen, a contemporary art gallery, various other resident artists, a jazz festival and a classical music event. Price: 95€ to 315€ (for 2 people). Le Mas de Soleilla is a small wine estate nestled between Narbonne and the sea. There are five beautifully decorated rooms, which offer a peaceful retreat with views over the vineyards, the garrigue and the Mediterranean in the distance. Each one has its own private bathroom overlooking a garden fragrant with the smell of local plants and shimmering with colour. In the summer, breakfast is served on the terrace overlooking the vineyard, after which you can go for a walk in the nearby garrigue or take advantage of the swimming pool. A truly stunning place, where you can taste the estate’s remarkable wines. Price: 90€ to 135€ for 2 people. Located between Saint-Pierre-la-Mer and Fleury d’Aude, Château Moyau, with its twenty-five hectares of vines, enjoys a magnificent position facing the sea and in the middle of the garrigue, vineyards, olive trees and pine trees. Legend has it that the château was founded by the descendants of pirates who came to the coast and whose leader was named Moyau. The estate comprises six buildings, two huge wine cellars, one of the most beautiful pigeon lofts in the region and some former stables. It is in one of these buildings that four gîtes have been tastefully renovated, ready to welcome guests for a restful stay in the middle of this wild and protected countryside. Price: 400€ to 1 200€ a week depending on the gîte and for 2 to 4 people. In the middle of the countryside, surrounded by the garrigue and vines, this gîte is next door to Christophe Bousquet’s estate, the president of the Le Clape wine syndicate. Nestled in the heart of the massif, it can accommodate up to five people. Guests can also taste the estate’s wines. Price: 180€ to 230€ for a weekend, 400€ to 500€ for a week. Set in the western foothills of the La Clape massif and surrounded by 140 hectares of vines, garrigue and cliffs, Château Ricardelle offers superb gîtes which can accommodate between two and five people.  There is a studio, plus two apartments and two houses, each of which are named after different grape varieties – an invitation to discover the La Clape wines: Carignan, Merlot, Syrah, Muscat, Roussanne and Grenache. Price: 60 to 100€ per night (2 nights minimum) or 250€ to 800€ per week, depending on the season. Overlooking La Clape and on the edge of the charming village of Gruissan, Château Capitoul was recently bought by the Bonfils Vineyard. Here you can rent part of the castle, which dates back to the beginning of the last century and live like a prince for a weekend or a week. Surrounded by pine forest and vines, enjoy no less than two hundred square meters of accommodation, comprising five gorgeous bedrooms, three beautiful bathrooms, a large sitting room and dining room and a light-filled kitchen. Taste the estate’s wines in the tasting room, which is open all year (every day from 9am to 8 pm). Price: 400€ for a weekend (2 nights, out of season) or 1 500€ to 2 000€ per week. Property of the Boscary family, who for the last four generations have been making wines with the greatest respect for winemaking traditions, the estate includes thirty-five hectares of vines. There are also three independent and stylish gîtes. Not only will you get a warm welcome, but you can taste the estate’s wines. The first gîte, L’Olivier, is a lovely house of fifty-six square meters and is warm and filled with light, marrying wood with white-painted walls. It can easily accommodate four people. A little further away, le Puits is a former wine-grower’s house of sixty-five square meters, decorated in a similar style (but no longer available to rent). Lastly, an apartment of one hundred and five square meters, decorated in a Provençal style, is located on the first floor above the barrel rooms. All three gîtes are surrounded by beautiful greenery. Price: 510€ to 1 180€ per week, depending on the gîte (2 to 6 people). Château d’ Anglès is a traditional Languedoc mas, in which a vast hundred meter square apartment has been fitted out with three bedrooms, accommodating six to eight people. It is nestled in the heart of the classified site of La Clape. It is surrounded by forty hectares of vines and a similar area of garrigue, woodland and Alep pine. Rest and absolute peace and quiet guaranteed. Price: weekend (2 days) 140€, week 540€ to 1 500€. The Abbaye des Monges in Narbonne, located in the La Clape massif, has belonged since 1997 to baron Paul de Chefdebien, who has developed a lovely range of AOC La Clape wines. The estate has three gîtes located in an independent building. The first gîte, “Côte Vigne”, which is fifty square meters and accommodates 2 to 4 people, offers a lovely view of the vineyards. The second gîte, “Côté Chapelle” can easily accommodate four people and offers the opportunity to discover the chapel, one of the rare Cistercian women’s priories in the Languedoc. The last gîte, “Garrigue”, is located in the middle of the garrigue and can sleep up to six people. Wine-tasting available in the cellar year-round (7/7 9am to 7.30pm). Visit the chapel year-round. Price: 480€ to 1 330€ per week, depending on the gîte and the season (2 to 6 people). Located in the heart of the La Clape massif, this organic estate has two bed and breakfast rooms (for 2 people) and three suites (for up to 4 people) in a separate building surrounded by vines, olive trees and a French-style vegetable garden. Delicious breakfasts served with homemade jams. There is also a swimming pool with a special swimming lane. Price: 90€ to 170€ per night.